Add and manage multiple stations under one account. Add a radio station to your pre-existing Radio.co account by selecting a plan from pricing. You should see "You are logged in as youremail@email.com", if you do not see your Radio.co account's email address then login first. Go through checkout, you can add extras. Choose a payment method, then select Activate My Station. 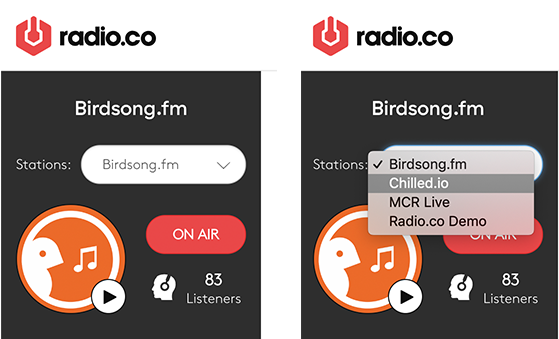 Your new station will now be added to your Radio.co dashboard in a 7 day trial period. Note: Stations are separate from one another, they do not share bandwidth, media, users, settings, or billing info.